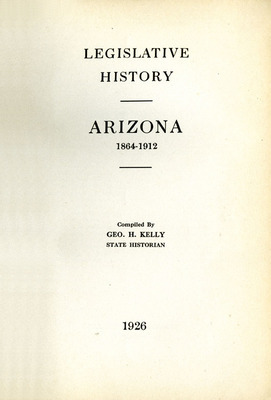 Kelly, George H , “Legislative History of Arizona, 1864-1912 ,” Arizona 100: Essential Books for the Centennial, accessed April 21, 2019, http://speccoll.library.arizona.edu/online-exhibits-dynamic/az100/items/show/287. 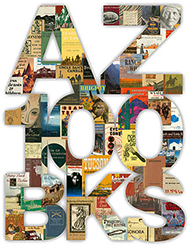 The bulk of the volume devotes a chapter each to the twenty-five territorial legislative sessions between 1864 and 1909. Besides the expected statistics and lists of officials, there is a lively narrative of the things that occupied legislators at each session: Indian raids, transportation, mining, location of the capital, creation of counties, statehood. It is easy to skip the statistical paragraphs and follow the development of the territory as it prepared for statehood. And of interest is that each time a new county was created, Kelly provides a folding map showing its location and origin. 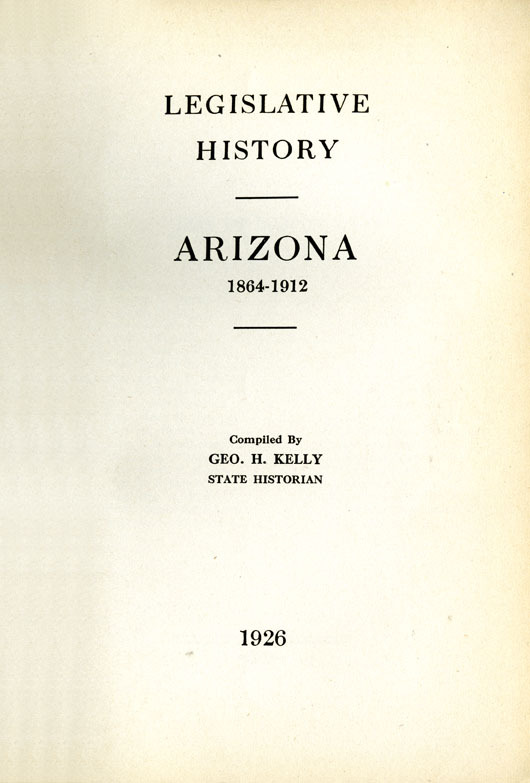 Phoenix : The Manufacturing Stationers, 1926.
xiv p., 1 ℓ., 399 p. incl tables. front., ports., fold. maps. 22 cm.